LINK is a secure container app which encrypts and manages sensitive firm data, while providing an easy single-app experience for lawyers. 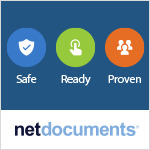 LINK is integrated with NetDocuments® and iManage Work® DMS. Firm data is always encrypted, at-rest with AES-256, and in-transit with TLS over HTTPS. The LINK app may be remotely wiped. LINK’s mobile DLP filters metadata and keywords/patterns. 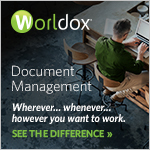 LINK offers optional integration with Azure AD Information Rights Management to protect document rights.